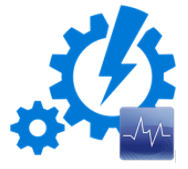 Automating SCOM to Make Your Life Easier! My buddy Tao Yang (the Tim-Tam distributing, management pack creation machine) has been at it again and has released Part 6 of his 'Automating OpsMgr' series. If you work as a SCOM administrator or consultant in any way, shape or form, then you really need to read through each of these posts as they are awesome! You'll come away with heaps of tools, tips and tricks that Tao has spent tireless hours scripting and putting together for the community and they'll save you loads of time with your deployments. As an example of how much effort he put into this, take the first post in the series. In this post Tao looked at the PowerShell module that comes bundled with the SCOM installation and also took a look at what was on offer with the System Center Orchestrator integration pack for SCOM and the SMA portable integration module. These offerings are useful in their own right, but still lack a lot of functionality, so Tao decided to spend 5 months of his own time (on and off) to write a new extended PowerShell module for SCOM! This new module contains administrative tasks for managing agents, configuring management group references and backing up management packs. It also contains some super tasks to assist with basic and advanced management pack authoring. The module can be run on its own or as part of SMA and each function of the module contains some very detailed help references. The other 5 posts (so far) build on this new extended SCOM PowerShell module and leverage SMA for automation to carry out tasks such as collecting logs from ConfigMgr, creating management pack runbooks and managing groups in SCOM. I know Tao has many more of these posts to put up in the coming months so make sure to check out the whole series so far and download the module and scripts so you can start playing around with them today. A big thanks Tao for yet another awesome contribution to the SCOM community! System Center Universe Europe is Just Around the Corner! 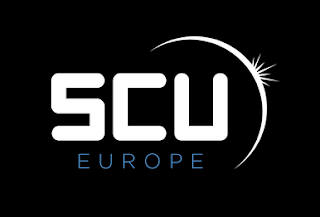 It's that time of year again that the biggest and best System Center Universe (SCU) conference in Europe is getting ready for take off in Switzerland. I've had the honour of presenting at the inaugural SCU Europe held in Bern in 2013 and then again last year in Basel. Thankfully, I've been asked to present another session at this year's event - where the conference will be run in the same excellent venue in Basel as last years one. What is System Center Universe Europe? System Center Universe is a community conference with a strong focus on systems management and virtualization topics such as cloud, datacenter and modern workplace management. We present top content with top presenters around Microsoft System Center, Microsoft Azure and Microsoft Hyper-V and want to build the number one conference for those kind of topics across Europe. SCU is a technical conference for administrators, engineers, architects, technical project managers and other technical-oriented people that are focused on Microsoft products and technologies. Less technical oriented people can still benefit from a conference attendance by getting a broad overview of problem-solving solutions and of course by connecting to exhibitors and community specialists. Why is SCU different from other conferences? SCU is a first-class community conference that lives from inputs and ideas from people that are part of the community and that know about real-world requirements and solutions. That said, we are not marketing-driven but try to present the latest and greatest content with the best speakers. Sessions are presented with lots of live demos and go technically deep, mainly down to level 300 or 400 (advanced and expert). Attending SCU gives you ready-to-use knowledge and allows you to connect and build long-term relations with speakers and attendees from all over the world. With some of the best Cloud and Datacenter Management focused technical presenters around, epic parties and great food, this years conference aims to be even bigger and better than the last one. The session planner is available here and if you're thinking of attending, then you can register here. If you ever have a problem trying to identify which version of your application its build number relates to, then I've got something pretty useful to help you out. For the past year I've been referencing a community-authored blog that posts current build number references for common Microsoft applications and provides a download link to each cumulative update or service pack. The list of applications that are referenced include System Center and SQL (definitely one you'll use a lot here). It's regularly updated (the new 2016 Tech Preview releases are all there) and goes back quite a few versions - MOM 2000 is even listed! There's a handy navigation ribbon to choose your application or if you like, just use the tags.